Everyone! Because we’ve become so used to demanding jobs, environment pollution, less than perfect nutrition, and all the other taxing factors of our modern, frantic lives, we often have no idea how stressed we really are. Reiki helps rid the body of accumulated stress, thereby helping to prevent illness and maintain good health. Clinical studies show that Reiki boosts the immune system, clears toxins, relieves pain, and improves sleep. For healthy individuals, Reiki is a simple, effective way to relax, relieve stress, and restore energy. 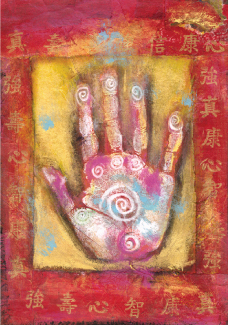 For those with acute or chronic health problems, Reiki is a valuable complementary therapy. Yes! Anyone can attend a class and learn Reiki – no special experience or conditions are required. Many people who have experienced Reiki choose to learn it and give regular treatments to themselves, family members, and other loved ones. Daily self-treatments will help keep anyone in a continuous state of better health, greater energy, calmness and clarity. Learning Reiki is especially recommended for self-managing chronic illness. For people with arthritis, diabetes, multiple sclerosis, lupus, fibromyalgia, AIDS, chronic fatigue syndrome, sleep disorders, headaches and much more, Reiki is a useful way to manage pain and other symptoms, and make strides toward better health. Click below for the complete definitions. Reiki is a deeply relaxing and revitalizing therapy that stimulates the human energy field to encourage enhanced, integrated functioning of the body’s natural healing systems. Pronounced “RAY-key,” Reiki is a form of touch therapy that the National Center for Complementary and Alternative Medicine at the National Institutes of Health classifies as “biofield therapy” or “energy medicine.” Because of its simplicity and fast, dramatic results, documented in increasing numbers of research studies, Reiki is one of the fastest growing complementary modalities in the world. Reiki is now used not only by individuals but also in hundreds of hospitals, nursing homes, hospices and spas throughout the United States. Call (312) 786-1882 to schedule a Reiki session. During a 60-minute Reiki treatment, the client lies fully clothed on a massage table. Unlike massage, there is no manipulation of muscles or tissue. The Reiki practitioner gently places their hands on areas along the endocrine system, major organs, and the chakras, on the front and back of the body. Special emphasis is determined by the needs of the client. The client often feels warmth from the practitioner’s hands, and after the treatment, clients generally feel a sense of deep relaxation, peace, calmness and greater clarity of mind. Reiki practitioners do not diagnosis medical conditions, and Reiki is not a substitute for medical treatment. Existing medical conditions should be treated by licensed medical professionals. However, extensive research has shown Reiki to be excellent support for virtually any medical problem. And for healthy individuals, regular Reiki treatments are wonderful preventive therapy, as Reiki helps keep the body in a relaxed, and therefore healthier, state. Hear Equilibrium Director Bernadette Doran explain Reiki and watch Reiki being given and received at an Equilibrium Reiki share. Everyone! Because we’ve become so used to demanding jobs, environmental pollution, less than perfect nutrition, and all the other taxing factors of our modern, frantic lives, we often have no idea how stressed we really are. Reiki helps rid the body of accumulated stress, thereby helping to prevent illness and maintain good health. Clinical studies show that Reiki boosts the immune system, clears toxins, relieves pain, and improves sleep. See research about Reiki here. For stress management and optimal health – According to the American Institute of Stress, 90 percent of all illnesses are caused in some way by stress. For healthy individuals, Reiki is a simple, effective way to relax, relieve stress, restore energy, and maintain overall wellness. Because it relaxes the body at such deep levels, one hour of Reiki is equivalent to three or four hours of very deep sleep, “jump starting” the body’s own natural healing abilities. For people with any chronic illness – including arthritis, diabetes, multiple sclerosis, lupus, fibromyalgia, AIDS, chronic fatigue syndrome, sleep disorders, headaches, and much more – Reiki is a useful way to manage pain and other symptoms, and make strides toward better health. For surgical patients – Research shows that people who have Reiki treatments before and after surgery tend to have less pain, need less pain medication, and heal more quickly, often in half the time. For cancer patients – Reiki helps manage the inevitable fear and anxiety that involves cancer diagnosis and treatment as well as support the physical body. Studies have demonstrated the effectiveness of Reiki in providing pain control with lower doses of prescription medication. Reiki speeds up the elimination of toxins, improves the immune response, relieves discomfort, and helps manage nausea and other side effects during chemotherapy and radiation. For caregivers – Research has shown that caregiving is the greatest stressor, often adding ten or more years of age to the cells of the caregiver. Reiki is a simple, highly effective way for caregivers to take care of themselves. It replenishes and restores physical, mental and emotional balance, allowing caregivers to feel both relaxed and energized, and able to handle the stresses of their situation with calmness, clarity and a renewed sense of compassion. With caregivers for the elderly and the dying, Reiki facilitates the release of anxiety, grief and fear, supporting positive emotional closure with loved ones. For hospice patients – Reiki helps both physical and emotional symptoms while improving the quality of life. Reiki promotes deep relaxation, management of pain, relief from depression with less medication, and the release of anxiety, grief and fear. Curious about Reiki? Join us for a free mini-treatment and experience the extraordinary power of this healing energy. It’s so relaxing, one hour of Reiki is equivalent to four hours of sleep at the deepest level. Come find out why Reiki is the fastest growing alternative therapy in America. 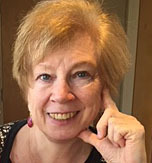 Equilibrium Director Bernadette Doran gives a one-hour lecture explaining how Reiki energy medicine works and all the challenges it can help, including stress, chronic disease, prenatal, surgical preparation and recovery, cancer, and much more. Then you’ll receive a Reiki mini-treatment from a Reiki therapist trained at Equilibrium. Learn how you can literally put the power of Reiki into your own hands! Equilibrium Energy + Education offers innovative energy-based therapies intended for stress reduction. Practitioners do not diagnose health conditions, nor do they perform medical treatments, prescribe medical drugs, or interfere with the treatment of licensed medical professionals. These services support but do not replace or substitute for services provided by medical professionals. It is recommended that you see a licensed physician or other licensed medical professional for any physical or psychological ailment you may have.